Berlin, Germany and London, UK – April 9, 2018 – AVUXI, creator of the TopPlace™ location insights, has expanded its presence on KAYAK, the world’s leading travel search engine, with a renewed two-year deal. 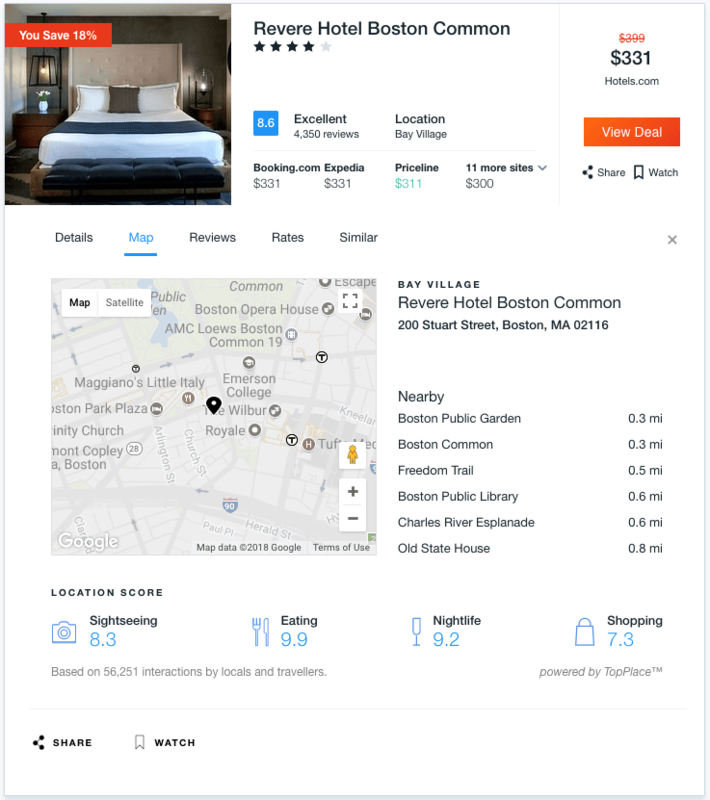 KAYAK, which searches hundreds of other travel sites to give people the information they need to make their travel plans, will now display new TopPlace™ insights and location scores in its hotel search. By integrating TopPlace location scores and heat maps, KAYAK displays detailed location insights for hotels, based on social media signals from travellers and locals across the globe. 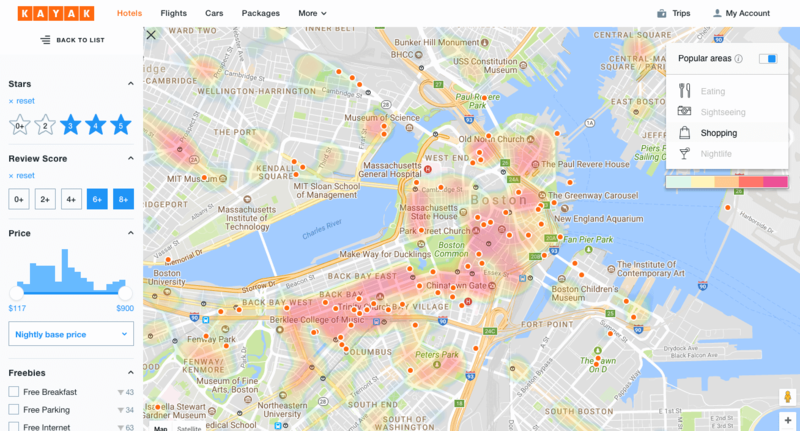 The heat maps and location scores help KAYAK users identify the most suitable areas in a city and how well a hotel or apartment is located for activities such as eating, shopping, sightseeing or nightlife. AVUXI’s TopPlace™ heat maps on KAYAK showing the most popular city areas. TopPlace™ location scores on KAYAK. “Travelers want to feel certain that they are booking a hotel in the most convenient location for their needs. TopPlace insights provide knowledge about how good a location is in any city worldwide. Because we have analyzed billions of social media signals, such as blog entries, photos, reviews, likes, check-ins and more, we can accurately show and tell the user what any given location is like. This kind of information is crucial to quickly understand an essential criteria like location, when booking any given hotel, so that travelers can save time, stay on site and book confidently,” says Alexis Batlle, CEO and Co-Founder of AVUXI. For more information about AVUXI’s TopPlace, please contact Sofia Yuvilova at: sy @avuxi.com.